Established in 1927, Ned Sickels is the oldest garage door company in America. We offer the “Best Selling Garage and Entry Door in the Country”, Clopay. Our elegant showroom displays maintenance - free steel doors in either raised panel or carriage house designs. Our custom wood door selection is unmatched in New Jersey. Ned Sickels Garage & Entry Doors continues it’s unprecedented innovation with the introduction of Clopay handcrafted entry doors systems. Constructed with only the finest materials, our entry doors are as beautiful as they are durable. Offering numerous decorative glass styles with complementary sidelight and transom combinations, Clopay entry door systems will capture the essence of your home and are sure to leave a lasting impression. We encourage you to take a look at our show room below, and enjoy envisioning the endless possibilities that we can offer you, through our master craftsmanship. Value, professional installation and service after the sale are very important in selecting your garage and entry door company. At Ned Sickels Garage & Entry Doors we bring you 89 years of experience in the garage door industry. The owner, Dana Clark, will help you every step of the way in selecting what garage or entry door is right for your application. We never compromise quality for time and we give our clients realistic schedules that accommodate their lives. We strive for honest customer service and take pride in our work. When it comes to delivering world-class results, we promise you’ll find no one with more experience that Ned Sickels Garage & Entry Doors. 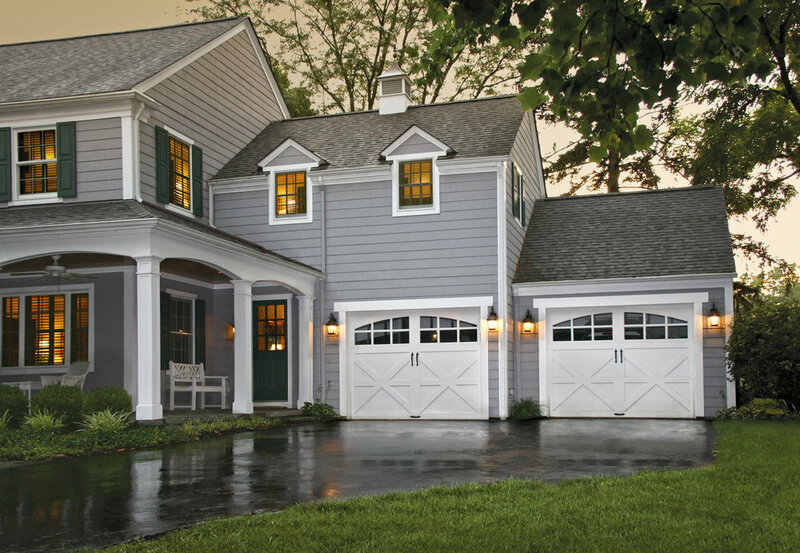 Founded in 1927, we are a Clopay Master Authorized Dealer, Advisory Board Member to Clopay, featured on “This Old House” and the largest custom wood carriage house door dealer in New Jersey, Ned Sickels Garage & Entry Doors answers the question of “where do I buy a garage door”? Fill out the form below and a member of our team will be in touch as soon as possible.